Welcome to Mobile Learning with TeachingHorse! 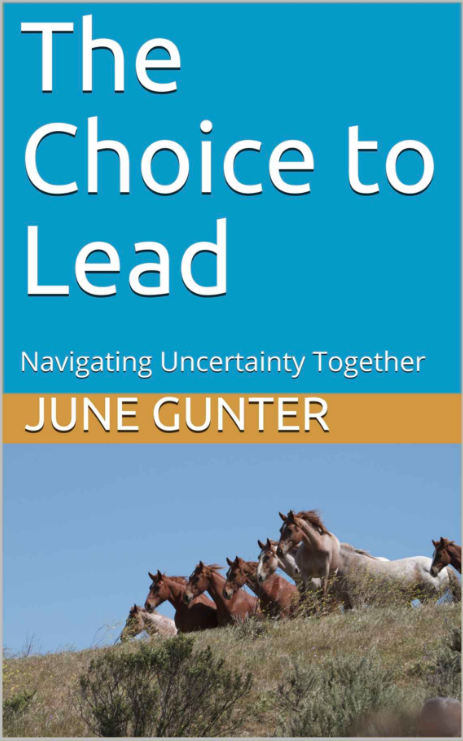 Here we offer a way to develop your confidence in leading through uncertainty from convenience of your mobile device. 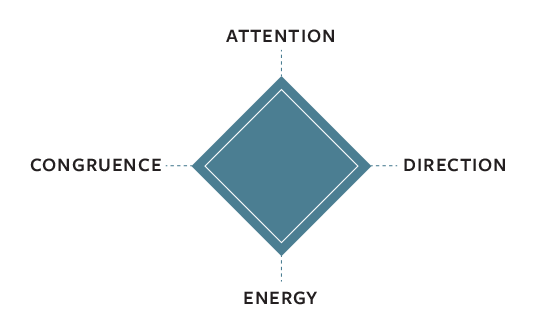 We have created a self-assessment that measures your level of confidence with each of the Diamond Model of Shared Leadership capabilities (Attention, Direction, Energy, and Congruence) at each of the three levels of application (Self, Other, Environment). 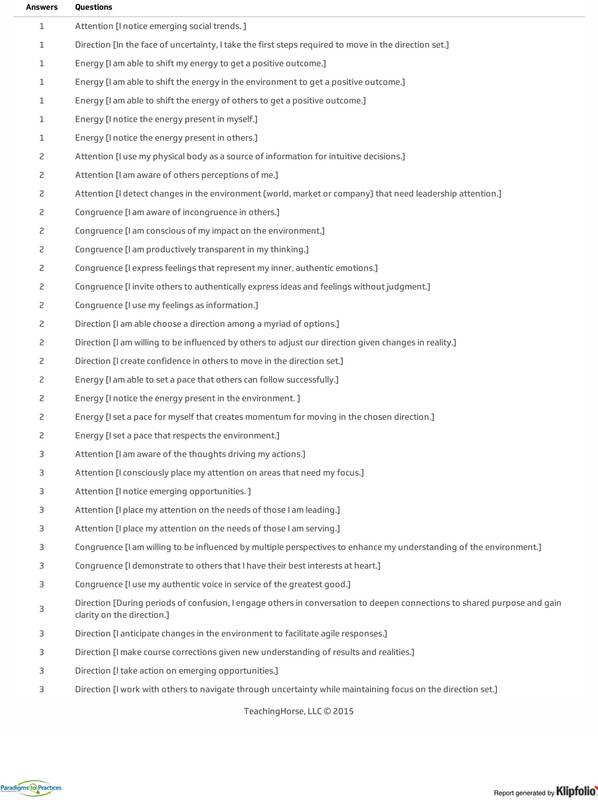 Completing the self-assessment takes about 10 minutes. Once you have completed the self-assessment, you will receive a private email to you only with the results within 48 hours. The email with your results will include two recommended areas to begin focusing your development. The Monday following completion of the self-assessment, you will begin receiving weekly emails that include recommended learning experiences to further your growth in the area of development specific to your results. These learning experiences are designed to be easy for you to engage in during the normal course of your work. Visit a local shop, trendy restaurant, or an innovative business. Notice how they are using technology, providing exceptional service or adding value to their customers. How might you apply what you observed to your organization? You will receive one learning experience email for 3 weeks in a row. On the fourth week, we will send you a query to get a sense of how things are going. The next set of learning experiences will continue the week after the query. The cost of the package described of the self-assessment, report, and learning experience emails is $149.00. Discounts are available for current and previous clients. To see if you eligible for a discount contact us at leadershipconfidence@teachinghorse.com. 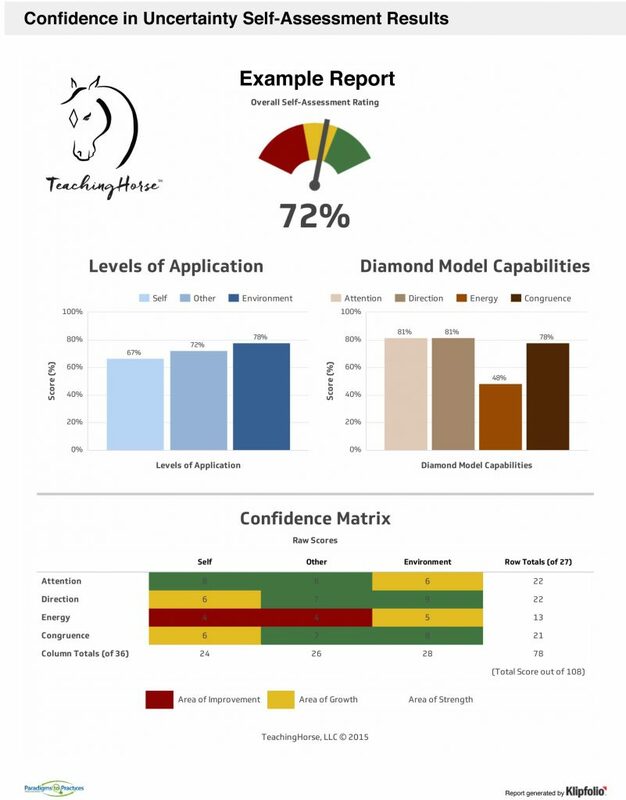 The results and learning experience emails will come from the address leadershipconfidence@teachinghorse.com.